When you call the office, my friendly voice will be the one to greet you! I’m also here to help with insurance and schedule your appointments. My favorite part of my job at the front desk is greeting and helping patients with a big smile and a bit of silliness to make them relax and laugh a bit! I started my dental career 22 years ago in Boston. 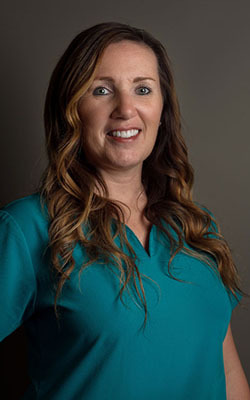 I have now enjoyed continuing my career here in Florida and been working for Manne & Borer for the past six years as a patient care coordinator. I feel very lucky to work with such a great group of individuals who get along like family. My life away from the office is filled with my three amazing daughters, ages 19, 16, and 11. I enjoy working out and living a healthy lifestyle, anything on the water, traveling, and photography. I attended the dental assistant program through the Red Cross in Abilene Texas in 1998. 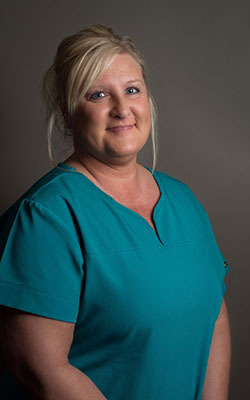 I moved to Florida after graduation and starting my dental assisting career at a periodontal office with three doctors. Within a few months, my doctor decided to move to Miami but the practice liked how I managed the patients so they put me at the front desk. I’ve worked at a few different practices but found my office family at Dr. Manne & Borer’s. I’ve been here for almost nine years now. I’m one of the rare people who can say I love my job because I really do! I have a 25-year-old son who lives in South Carolina with his beautiful wife. I enjoy cooking, the beach, lounging at the pool, working out at the gym, movies, and hanging out with my amazing hubby of five years. I earned my certification from the University of Florida in Expanded Duties in 2008 and began working with Drs. Manne and Borer shortly thereafter. 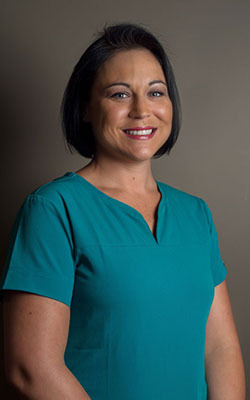 As an administrative and dental assistant, I will help you with your accounts and insurance, as well as assisting the doctor with your care and helping you understand your dental treatment. Working with the doctors at chairside is the best part of my job, since every case is unique. I’m always watching and leaning new and improved ways of endodontic therapy. Our office team is one of a kind; it’s more like family than staff. Everyone is always willing to help in every aspect of our practice. Outside of the office, I am a mother of an amazing little boy who keeps me very active. We love anything outdoors, but being on the water or at the beach is our happy place.